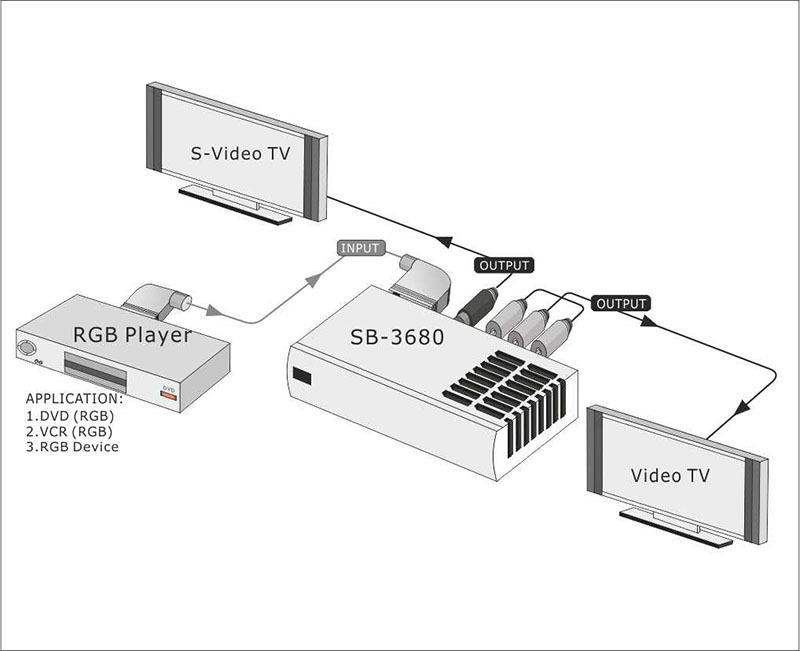 SB-3680 SCART-RGB To S-VIDEO/VIDEO/AUDIO CONVERTER - SHINYBOW Technology Co., Ltd..
SB-3680 is one of the most innovative SCART ( RGB) Decoder products. 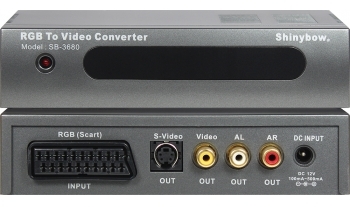 It converts RGB signals from SCART plug device (full pin connected) in to S-Video or Composite Video and Stereo Audio signals. 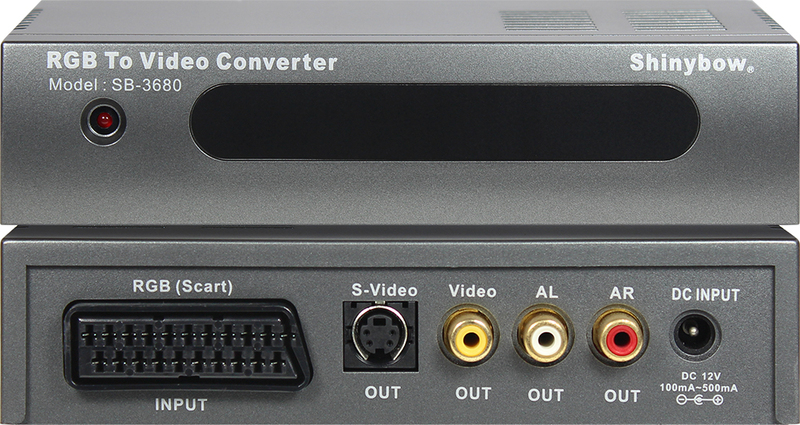 It is perfect for SCART (RGB) Video device, such as Video Game Consoles, Video CDs, DVDs, Satellite Receivers, CATV Set Top Boxes, and works well with TV set. 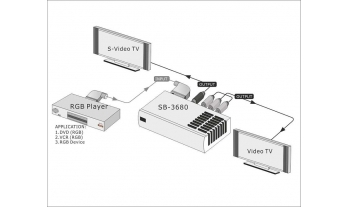 The video from output of S-Video and Composite Video will be showed simultaneously.